I’ve been asked so many times why photographs weren’t included in my book, Catching Babies. I asked the publishers if we could add a few, but it wasn’t an option. So here are a selection that probably would have been included…. This is a photo of me and my sisters. 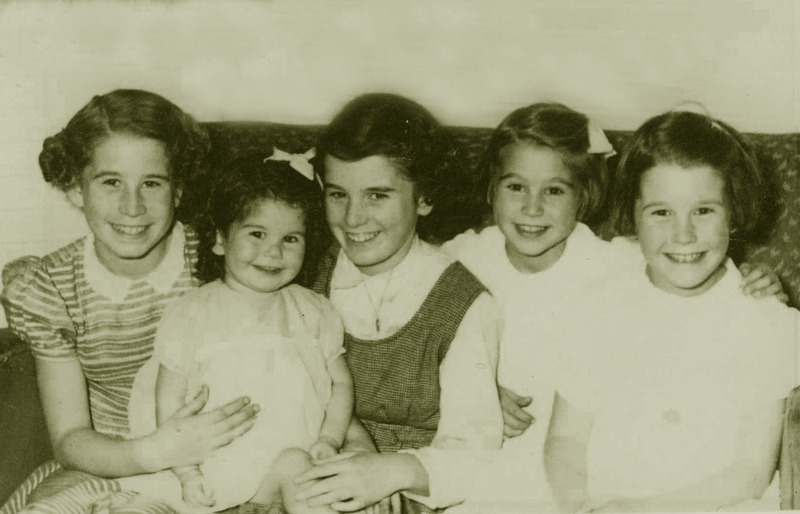 Left to right Anne, me (youngest) Lynne (eldest) Eileen and Susan. 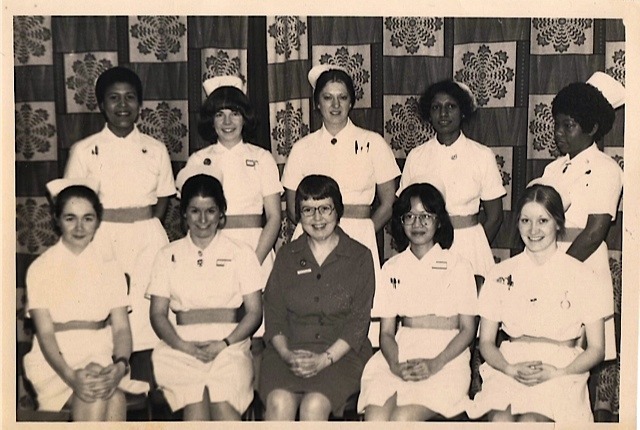 This picture was taken in 1978 during my midwifery training at the Edith Watson Maternity Unit in Burnley. Miss Cawthra, the midwifery ‘tutor’ is featured much in my memoirs! Can you spot me?